Sun Salutation comprises of 12 poses, each one interconnected with the 12 positions of the sun, which also corresponds to the 12 zodiac signs. The almighty sun, an important source of energy for the entire planetary system is the reason sun salutation was created by ancient yogis. Sun salutation, a traditional means of honoring the sun, when performed especially in the early morning is believed to energise a person as it is revered as a life giver. 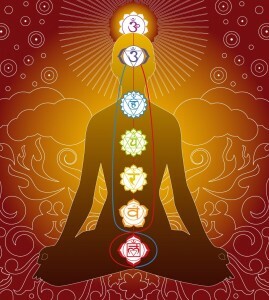 In order to maximize the benefits of sun salutation, visualization can be used to assist in awakening and balancing the 5 main chakras of our human body, namely the Ajna, Vishuddhi, Anahata, Manipura and Svadhishthana Chakras. So visualize the light and feel the warmth of the sun as it energizes your chakras when you move along the poses in your sun salutation practice. Feel the awakening and rising of the energy throughout the body, from root to crown, preparing you for your day to day challenges. Remain in Tadasana for about 10 breaths. Just observe your breath, feeling the movement of energy throughout your body.